FRESNO, Calif. (KFSN) -- Students at Clovis North High School in Northeast Fresno were held in their first-period classes for a few hours on Tuesday morning for what the Clovis Unified School District is calling a "facility alert." 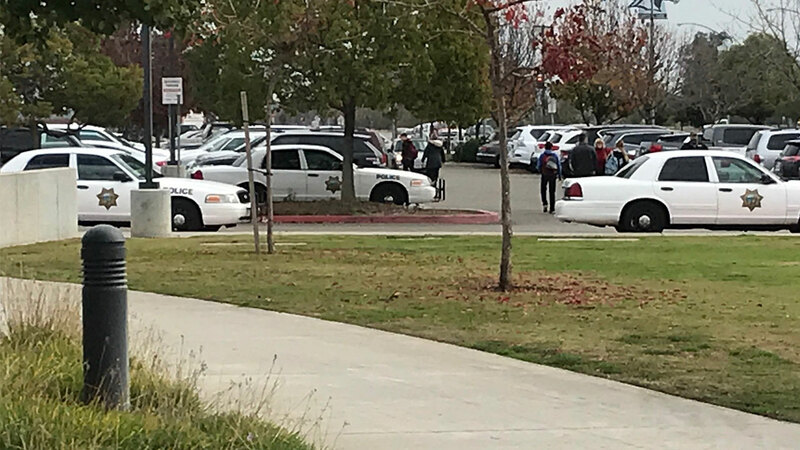 A spokesperson for the district says the decision to hold students in the classrooms was made as Fresno Police and Clovis Unified Police investigate a report by five students who received messages threatening harm to them if they came to school. The district said that the "facility alert" allowed students to remain in classrooms and to continue to receive lessons while allowing school administrators and law enforcement to focus on their investigation. Dozens of parents line up in front of the Clovis North High School campus office in Northwest Fresno amid an investigation into reports of threats to five students. An Action News Photojournalist who went to the campus saw several police cars parked in front of the school, and dozens of parents waiting in line to get into the school office. 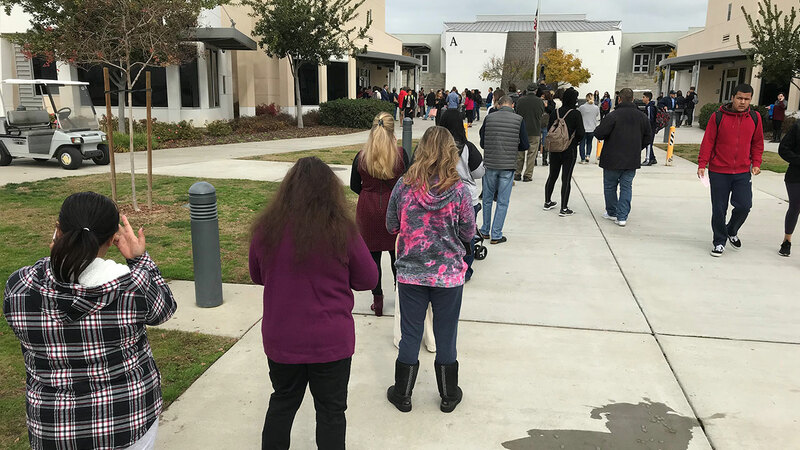 At around 10:30 am, Clovis North Principal Dr. Joshua Shapiro said that the facility alert had been lifted and that classes were resuming as scheduled. "Based on the evaluation of law enforcement using standardized threat assessment measures, officers have directed the school to lift our facility alert and classes are continuing today as regularly scheduled," Shapiro wrote in a statement released by the district. "We recognize that parents have questions about how such determinations are made. Please be assured that decisions about the safety of our students are made in extremely close collaboration with experts in school and community safety, and that we have involved multiple agencies in making the decision to continue classes today. This decision was made only when we were confident that the security of our campus could be assured." Clovis Unified says that law enforcement investigators have, "several promising leads which are being followed up on" and that the FBI is assisting in the investigation because the threats were made over the internet.